DC Action’s DC KIDS COUNT project is based on the idea that where children live, play and grow deeply affect their futures. We believe in a vision of DC where children in need receive quality services to support their development and ensure they thrive. We do this by tracking key outcomes for children and families, which shed light on the assets and challenges for children in DC, and show how far we have yet to go. 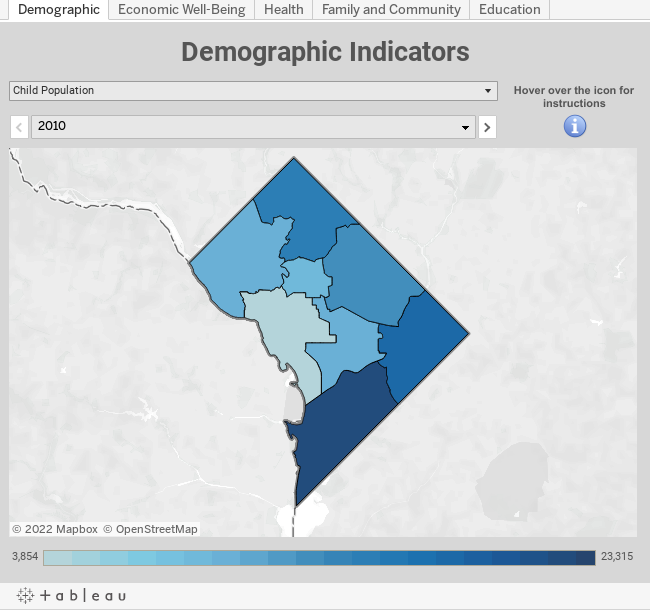 While neighborhood-level analysis is central for us, and is the basis of the DC KIDS COUNT Data Tools 2.0, DC is politically organized around our eight wards. This means that advocating for policy change is often best accomplished at the ward-level. We are happy to share our 2015 Ward Snapshots.